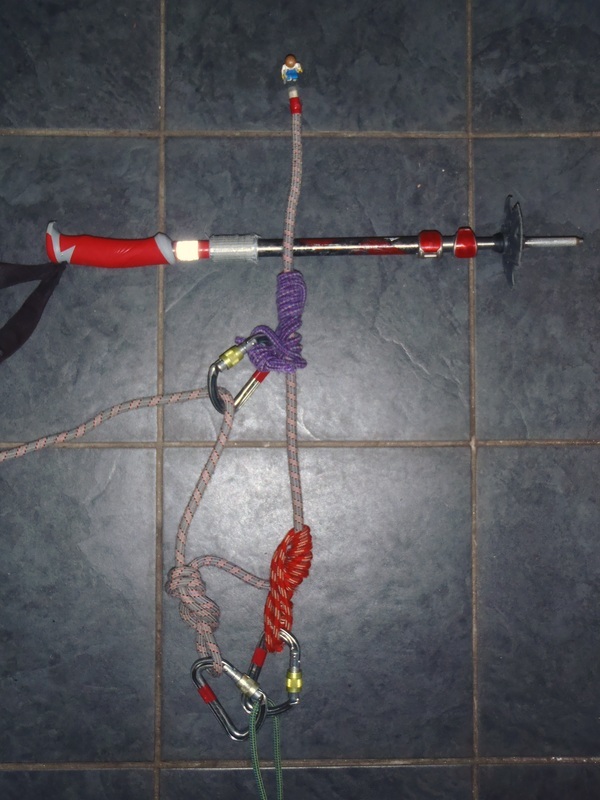 Protect yourself by abseil and assess the condition of your casualty. Prepare the edge of the crevasse. Crevasse rescue is a technique that occupies a lot of time in mountaineers minds. However the chances of a climber falling so completely into a crevasse that they need to be hauled out are mercifully small. In the vast majority of cases a tight rope and a breathless scramble has most folk back on the surface. 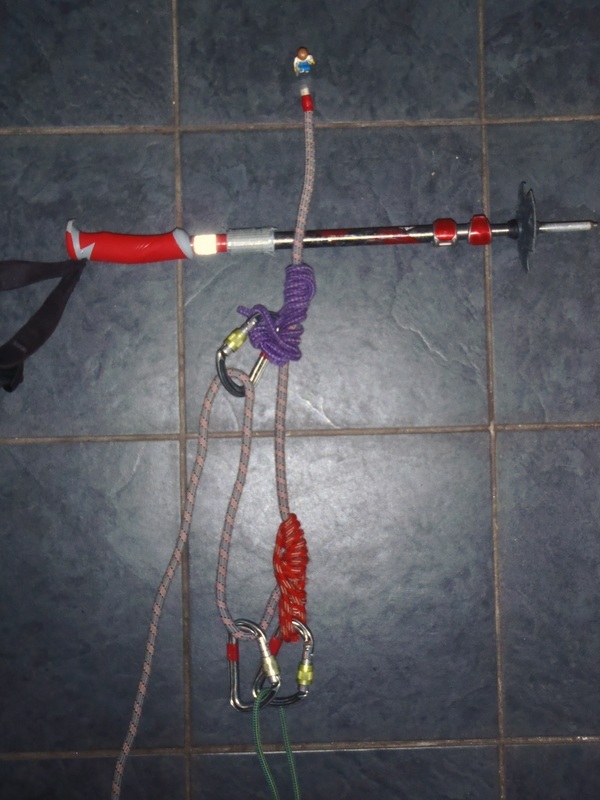 There are a huge variety of techniques and pieces of equipment designed for crevasse rescue. At a very basic level a glacial travel kit should include the following. 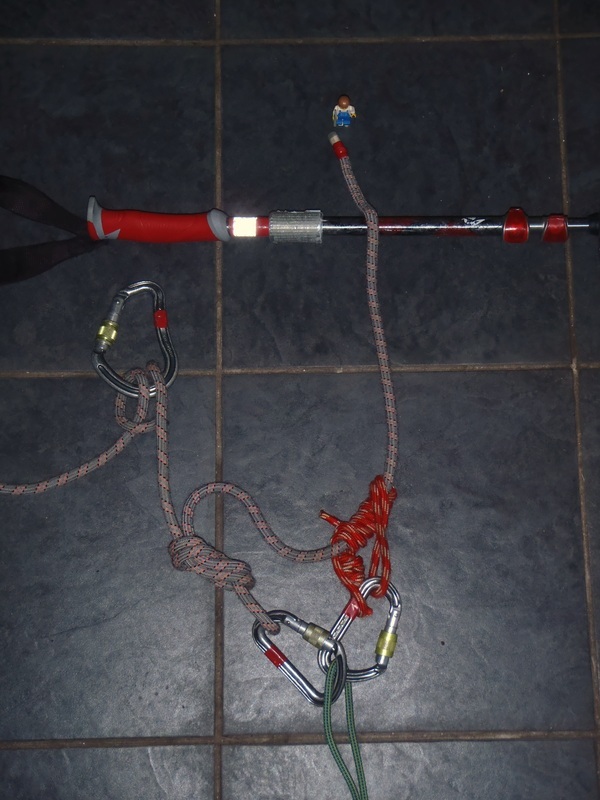 With this system a casulaty weighing 90kg would require a pull of 30kg to rescue them (removing friction from the equation. However to raise them 1 meter would require taking in 3 meteres of rope. 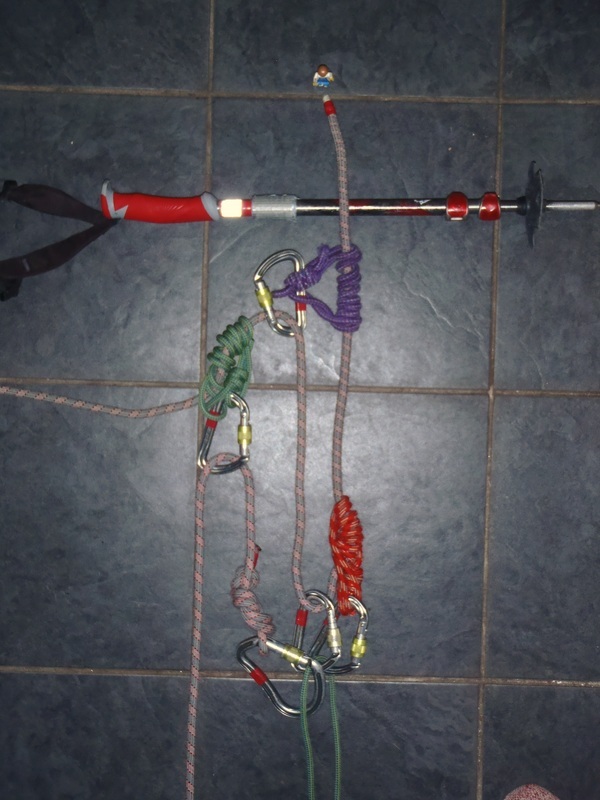 When the Prussicks are nearly touching allow the anchor prussick (red) to grip the loaded rope and reset the other (purple) prussick by pushing it as far towards the crevasse as possible. 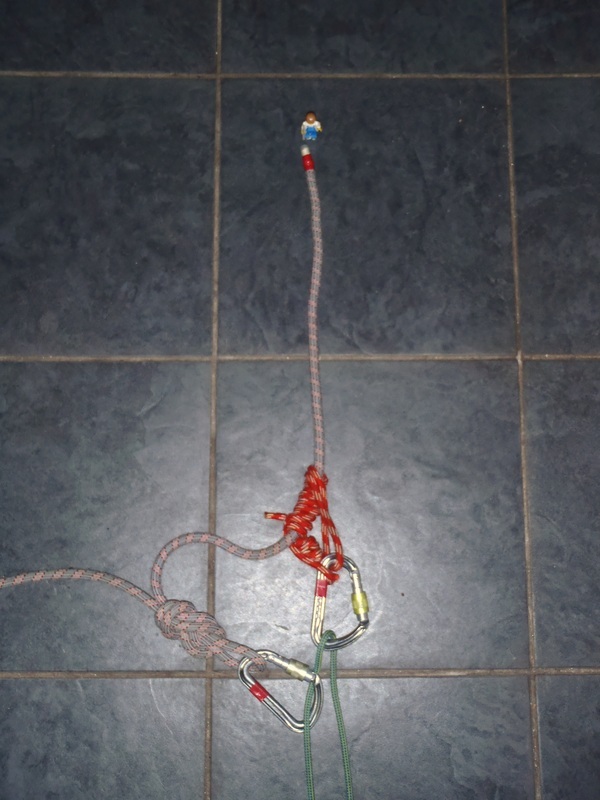 A very useful variation if your casulaty is concious, able to help and typically not more than 10m below the surface. 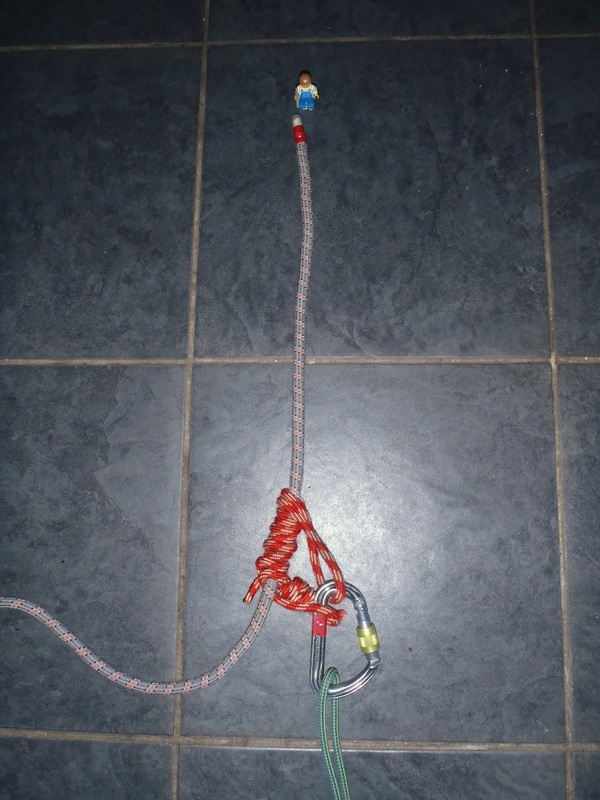 The system is identical to the Unassisted Hoist apart from the attachment point for the loop of spare rope. 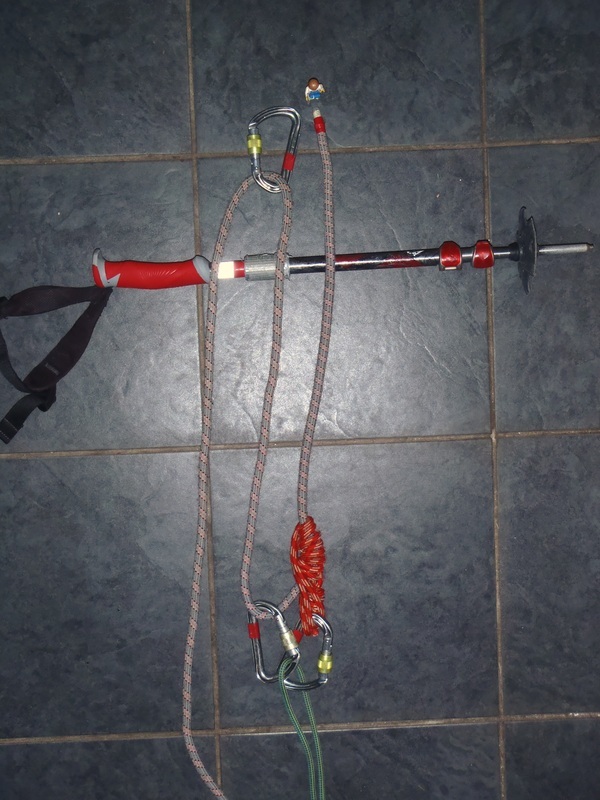 There is no requirement to reset this system but the Prussick (red) can be used to hold the rope if you need a rest.